We've been a bit quiet while finishing an important milestone, and immediately after we jumped back to the next things on the list. 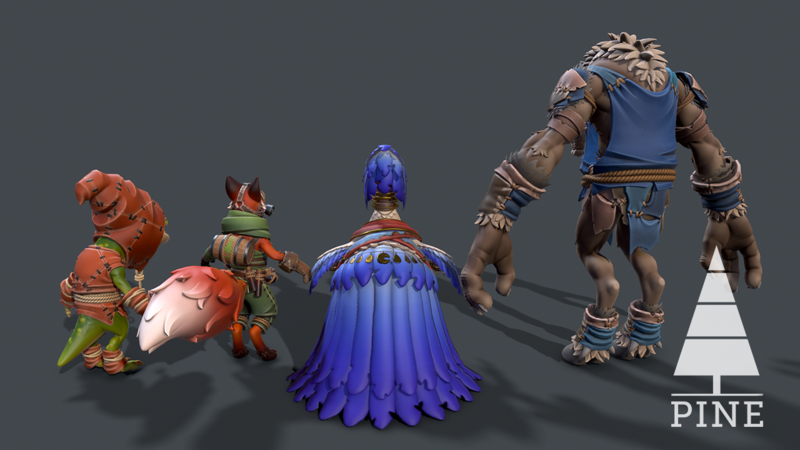 We're making good and important progress, and while we are holding back some important announcements for a while still, we're excited to tell you about some of what we did in the meantime. 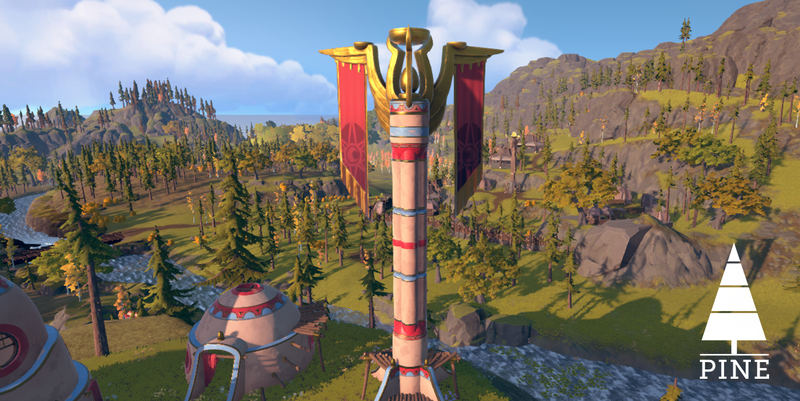 As a bonus, check out the cloth waving in the wind - also new! 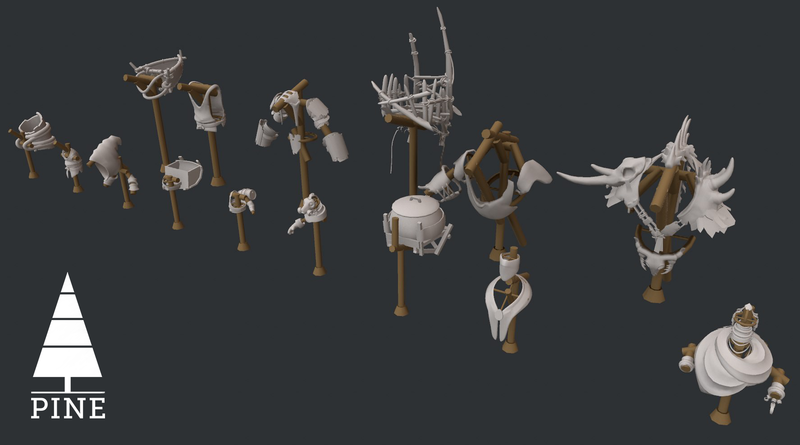 The role outfits will be positioned on coat racks of sorts. 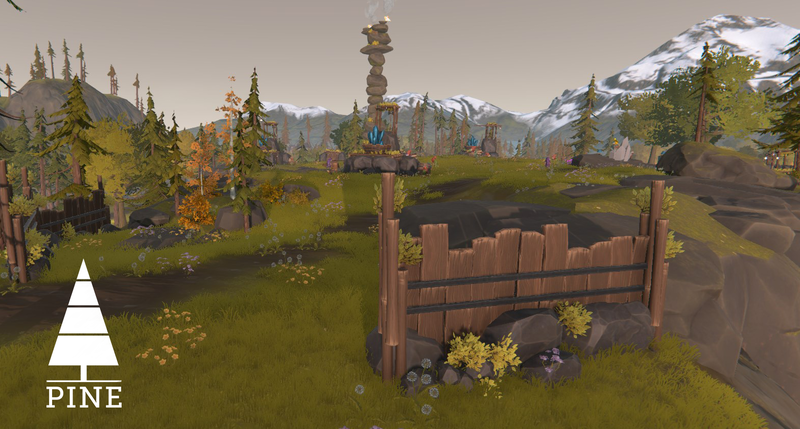 More village work was done too - we're getting to dressing the fences etc with non-generic, but species-specific styling! We're also working on a new critter, a really important one - an aggressive creature that will attack you on sight. These are not to be messed with and do a lot with Albamare's ecology. It's called the Bleeker! In general, we're reshaping our critter plan a bit. We're making a few less than originally planned, but all because we want to focus on the existing ones better and give them more meaning. 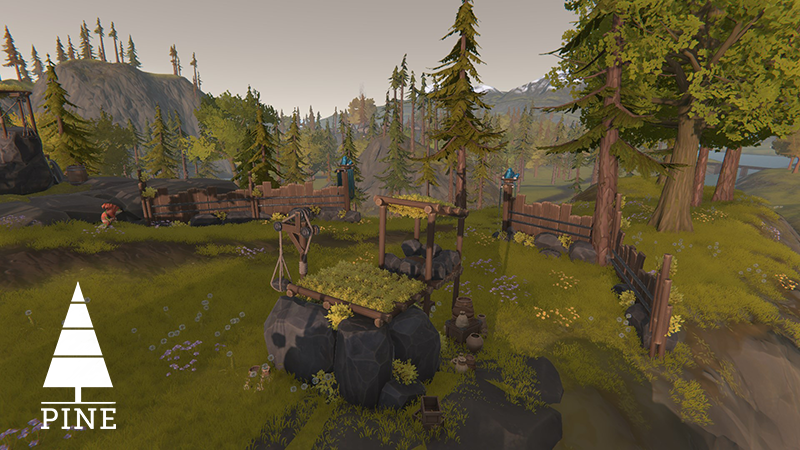 Also, we don't think we ever showed you our new vegetation system, on top of our brand new terrain - we all put that in for the previous milestone build and it's all looking a lot better already. Also, here's some of those night lights we mentioned - they will turn on at nightfall and add a lot of atmosphere. Another very productive week! With the team currently operating at a capacity of 10, we're making awesome progress on big and small things alike. 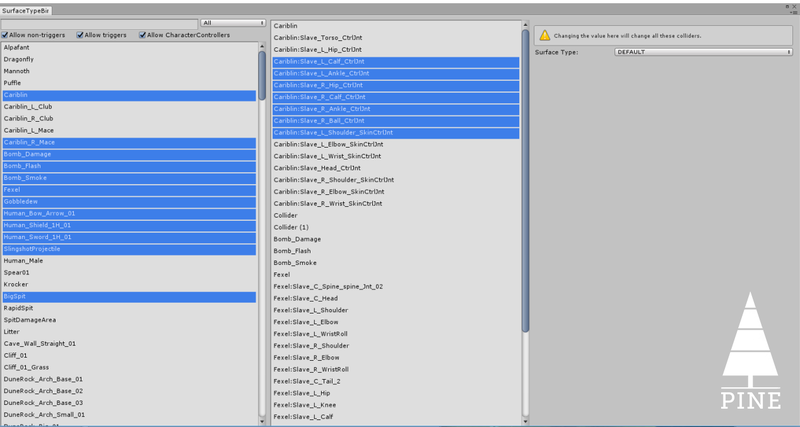 We're building editors for features, effects and polish, which greatly speeds up the way we work in the project. 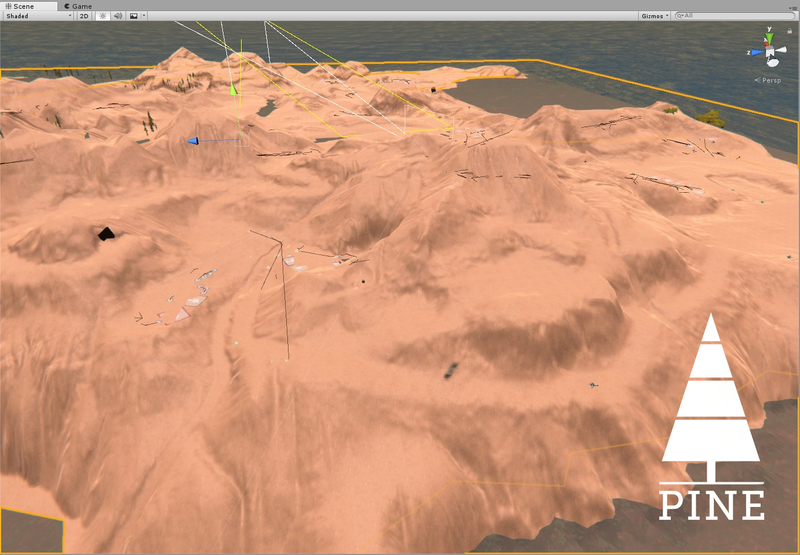 One of those is a brand new surface editor, which allows us to select all prefabs and tag it with a certain surface. This is important for footstep sounds, ranged sounds and VFX to appear/sound correctly. We now have an extended weather editor, as well as a brand new "Night Visuals" editor that allows us to enable/disable objects or turn on lights at a certain time of day. This includes fireflies, lanterns and more. 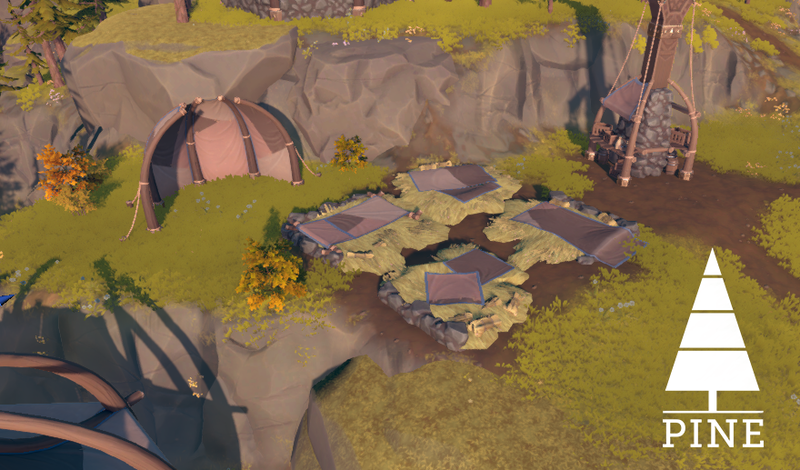 Our terrain improvements are also getting further. A new angle-selector brush makes painting splatmaps (textures) on our terrain a million times easier, and it makes it look a LOT better because of perfect and objective blending. We've also continued dressing the biomes, and the smaller snow biome (top of Mount Telkin) was the last one to be done. 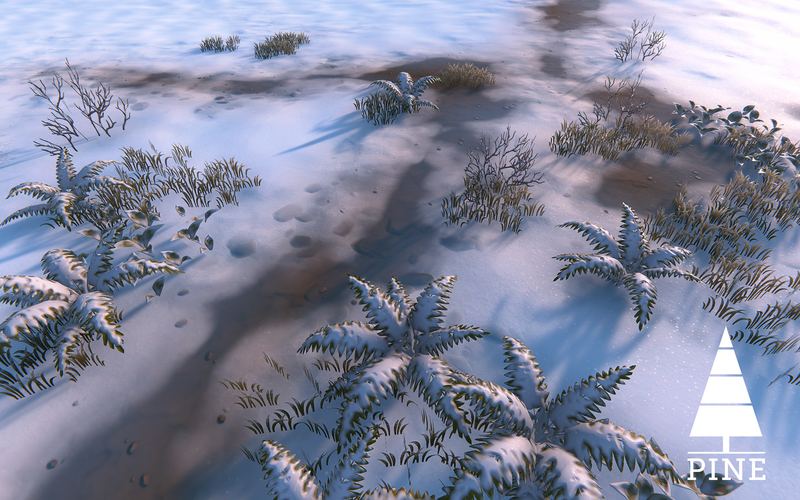 New snow textures and snow vegetation! 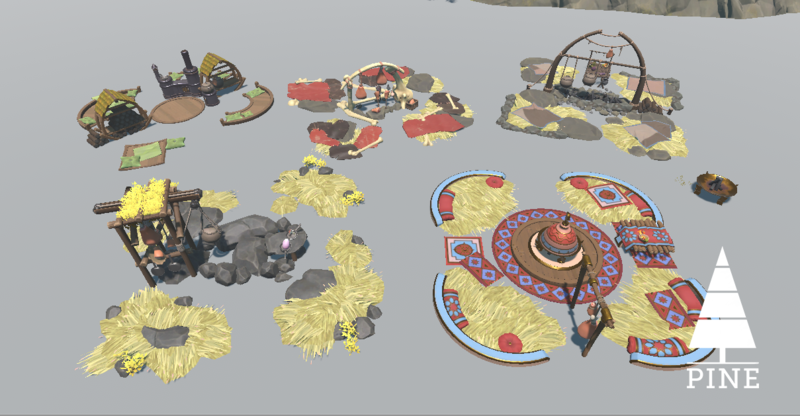 Time for another short devblog! 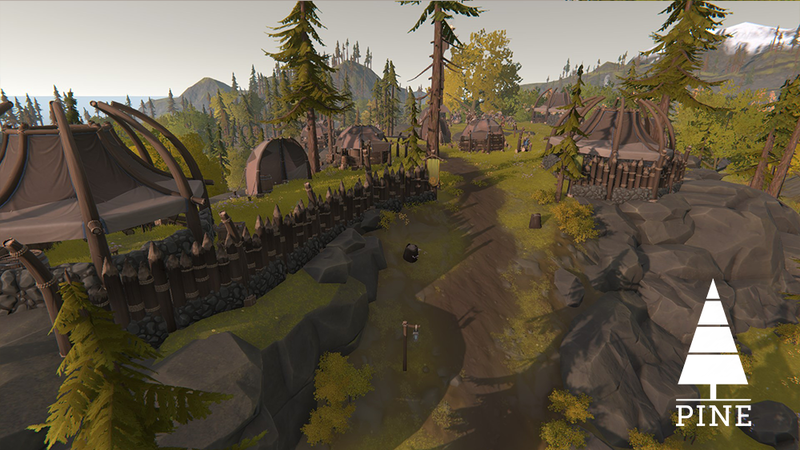 We've made some good visual progress and are excited to share what we're working on. 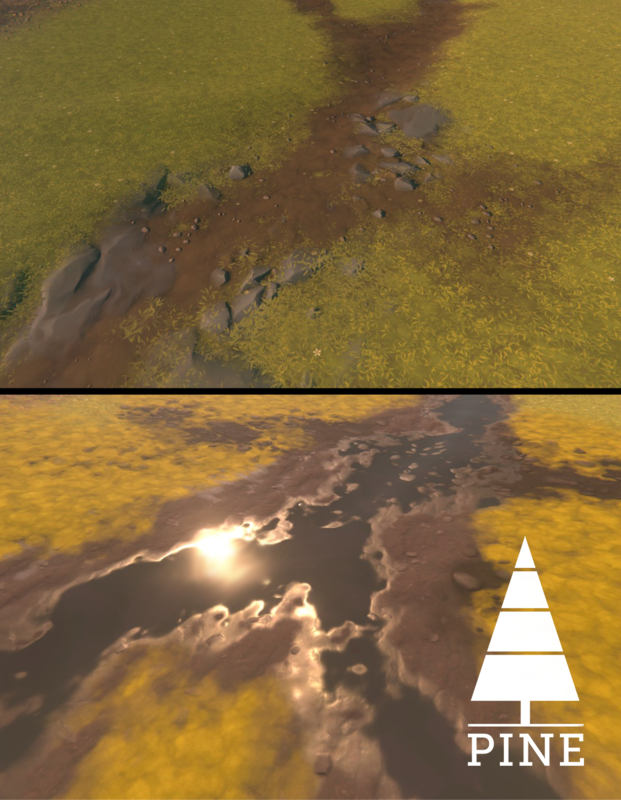 The terrain is getting a huge revamp. Both tech (splatmaps and the groundcover drawing), design and art are currently passing over it to make everything look more natural, have a better structure and run way better. We're blocking out more Vaults too... without giving too much away, this one in the swamps begs to be explored, no? 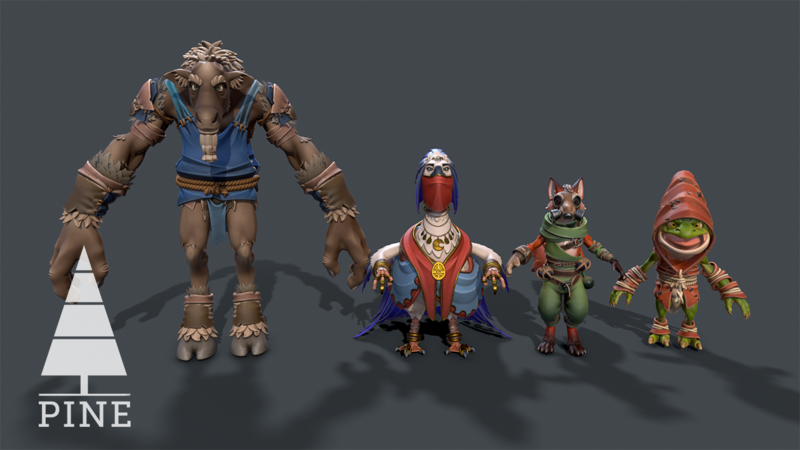 We're also working on finalizing the outfits for species roles - the guard is done now for species, which is a tabard that shows what they're up to. We have more cool stuff in the pipeline - putting a lot of sounds in, working on our material detection system to diversify them, working on the weather editor... good stuff!